Cogar Plumbing has over 35 years of experience in installing, repairing and replacing sewer and water lines here in Virginia, from clay pipe, orange burg, cast iron ABS PVC copper & galvanized . Sewers can fail from faulty installation, under pressure, tree roots deterioration chemicals in water or from the drains to abuse putting the wrong items down the drain such as grease or hair. Water lines can fail from faulty installation, pipe decay , hole in pie from rubbing against a rock in the ground. 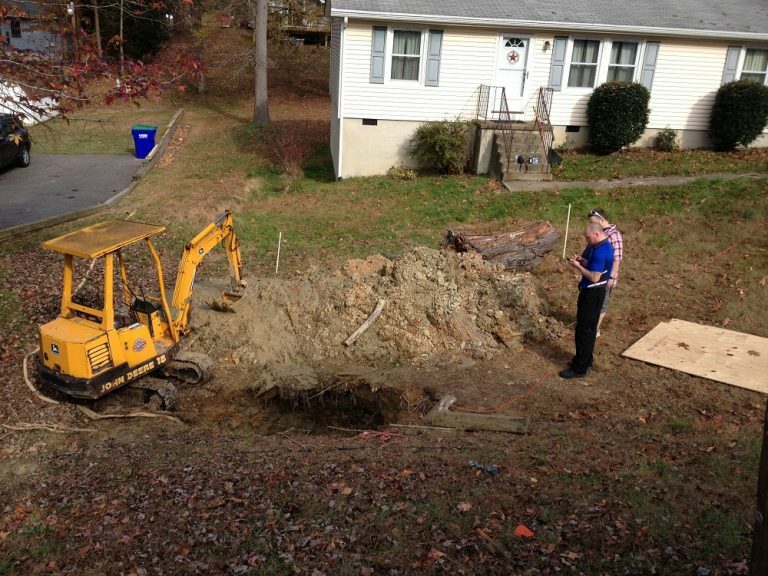 Cogar plumbing has all the new technologies for a risk free excavation and a less yard damage method. We can go under driveways, sidewalks with no driveway or sidewalk removal or replacement, without disturbing anybody. We do in slab locating, repairs and replacements for all your sewer needs. Call on Cogar Plumbing. All work is guaranteed and all parts and labor are available. We offer trench less technologies, boring trenching and backhoe service. We do residential, commercial and multi dwelling. We can bore under your house driveway sidewalk. With our boring technologies, we can get the water to you very fast. For tight to get places or risky excavation, let us hydro excavate, the risk free excavation. We can do just spot repairs if that is all that is needed. And there’s times that you should replace whole water service. For reasons of faulty materials, fault installation, thinning copper, pipe freezing,pin holes, cracked pipe and more. Water meter running when valves are off and no water in use. Running water sound when no water should be on.